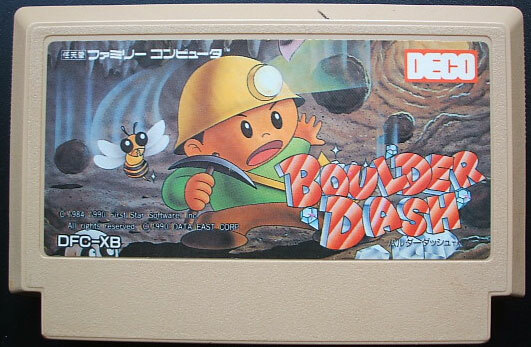 Dig the mines for gems in this precursor to Mr. Driller well suited to the Famicom. 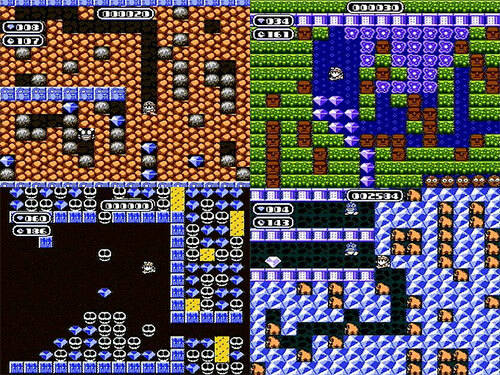 Players must avoid falling rocks which they displace by digging tunnels and keeping one eye one step ahead prevents catastrophic collapses and missing out on the jewels. Second hand. Cart only: no manual or box supplied.